The Transportation Safety Board of Canada has released its investigation into a July 12, 2018, plane crash near Arborfield, Sask., which led to the death of the pilot. 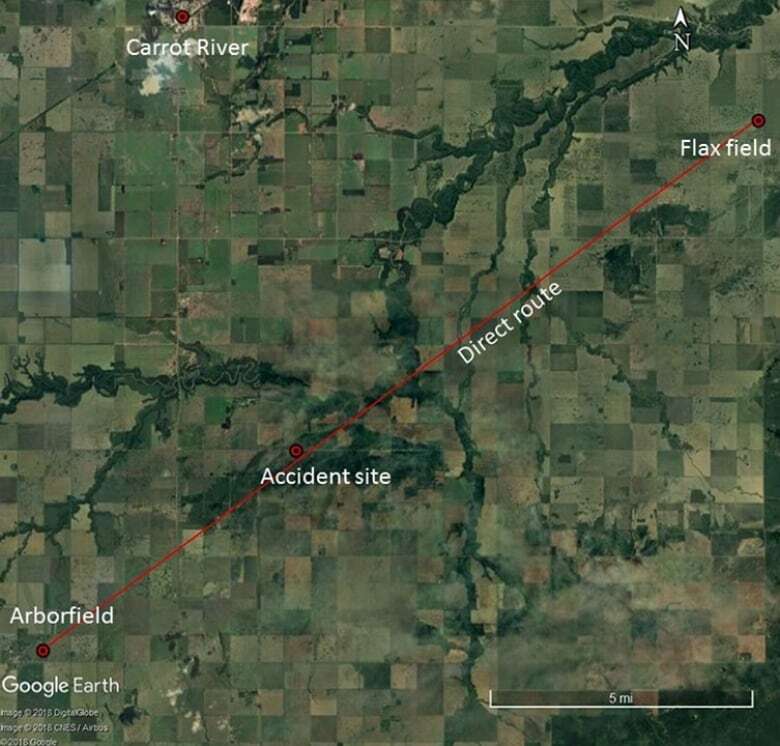 A pilot had just finished spraying a flax field and had texted his company to say he was returning to Arborfield, Sask., before his plane hit the ground and crashed in a fiery explosion, the Transportation Safety Board's investigation into the fatal crash says. The July 12, 2018, crash of the plane, operated by Clayton Air Service, led to the death of the pilot. One dead in 'small aircraft accident' near Arborfield, Sask. At about 3 p.m., the pilot of the Cessna A188B AGtruck — a light agricultural plane — sent the text message to report his return after spraying the field east of Carrot River, 244 kilometres northeast of Saskatoon. He also reported on the weather, which was not atypical for a summer day and not considered a factor in the crash, according to the TSB's report, which was released Wednesday. Shortly after the pilot sent the message, a bystander heard a loud engine noise, followed by an explosion and smoke in the air. The bystander headed toward the wreckage, at which point there was a second explosion. The person reached the site within five minutes of hearing the first bang, saw the wreckage, and called emergency services. The TSB said the Cessna was certified, equipped and maintained as per regulations, and had no pre-existing defects or anomalies. It did not have a flight data recorder or cockpit voice recorder — regulations didn't require the plane have that equipment. The aircraft's emergency locator transmitter did not activate because it had been severely damaged by the impact and fire, according to the report. 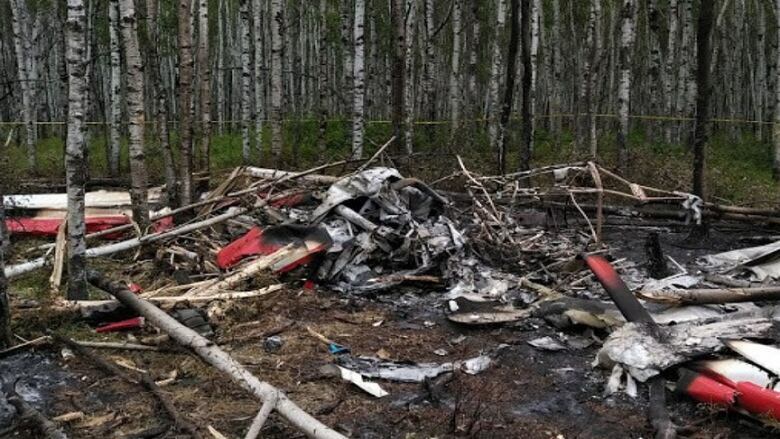 The TSB concluded the aircraft struck the wooded grounds at a shallow angle, with little forward speed and leaving no wreckage trail, indicating an "aerodynamic stall from a low altitude." Most of the aircraft was destroyed in the post-crash explosion and fire, and with no witnesses and no flight data information, the investigation could not determine what caused the stall. The TSB says Wednesday's report concludes its limited-scope investigation.